Like a small backyard system, size is everything in aquaponics. The size is what determines the amount of vegetables and fish you will grow and more importantly the budget you will need to build the system. Sizing the system can be tricky when you do not know the cost of building a certain size. The first step to sizing is always considering how much area and budget is available for the project. The budget will determine the size or the size will determine the budget. Depending on what your case is make a decision on how big you would like the system to be. In many cases as your project advances the sizing may change depending on what you learn. So be flexible in your decision making and be ready to adapt. Cost of building a commercial aquaponics system is most likely the biggest reason why most aquaponics practitioners are deterred from going from small backyard size to a commercial scale. The cost of building a relatively small commercial greenhouse can quickly add up especially if you decide to go with all the bells and whistles in the trade. A solid business and financial plan that also accounts for cost of building is a great way to understand the budget that will be required to get your project to completion. It’s a good idea to break the cost in components and have a unit price for each individual item in the component like shown in the table below. A great way to save cost is to find reused or refurbished materials from an existing farm. Call around your city and ask for equipment and material that might be liquated. Most of the times perfectly good materials end up in the landfill if no one is there to claim them. It is critical to invest in training and education in aquaponics BEFORE you invest anything in building the project. Knowledge of the science of aquaponics, how it operates and what to look for while caring for your system is indispensable to the success of your farm. A solid understanding of aquaponics will save you a lot of heartache as you will have a much better chance of avoiding costly mistakes beforehand. A good mix of theoretical knowledge and hands on experience is undoubtedly the best way to learn the nuances of operating an aquaponics farm. Reach out to your local aquaponics farmer and ask for volunteering opportunities and get as much exposure to the day to day tasks involved in an aquaponics farm. As much as training and education, it is just as important to get the right consulting professionals with experience designing, building and operating an aquaponics facility on your design team. The money that will you will spend on professional consulting will most likely become the deciding factor in the success of your project. The right people can get you started on the right track setting you farther than the competition, saving you the headaches and not to mention the costly failures that can come from the inexperienced DIY approach. When looking for consultants you should look at experience, have they built their own system? have they ran their own farm? Look for background, are they engineers, agronomists, aquaculture specialists or agriculture professionals. Ask for previous client references, the best way to find out their credibility is to talk to people that have worked with them before. An in depth market research is the most important part of a great business plan. Understanding the market in your region in your planning stage will help you cater to the specific needs of your customers. Research what the existing market is like, what products and how much of it can the market support, what prices are customers willing to pay, what your competitors are doing or not doing. Knowing this will help you narrow down the types of vegetables and fish you want to grow. Gather the most recent market price for these vegetables and see if growing them in the size of the system you have decided will generate enough revenue to sustain your business. Many times people find that what they thought would bring them a profitable return turns out to be more expensive to grow and less popular in the market. It is best to cater to a niche market, high end restaurants and hotels will pay top dollar on produce they can’t get from anywhere else. Reaching out to several chefs in your community and growing specifically for them will ensure a sustained and profitable source of revenue. 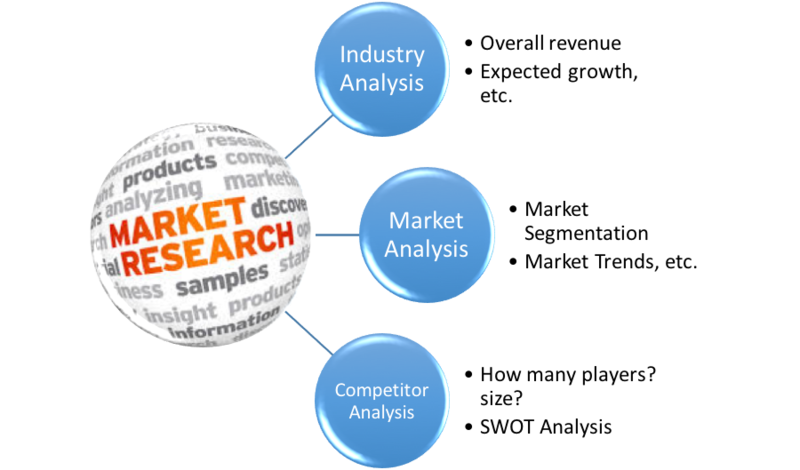 In general, a market research should be divided in three parts: Industry Analysis, Market Analysis and Competitor Analysis. The greater the detail in each section the better the market research. I will discuss market research around aquaponics in much greater detail in my next blog post. Lastly, love for the trade. What does that mean? Contrary to popular belief aquaponics is very labour intensive and that is why anyone thinking of getting into commercial aquaponics farming has to absolutely love aquaponics and everything it entails. If you consider aquaponics farming to be laid back with a potential to make good money without significant effort and hard work that is simply not true. It takes dedicated commitment, intense hard work and grit to successfully operate your aquaponics farm. So, if you are not in love with the concept of aquaponics and organic farming in general you must reconsider your choice. This is not a pessimistic view of how aquaponics farming is but a realistic one and it must be highlighted. This is not to say that aquaponics farming is an unachievable dream, quite the contrary it is very achievable and extremely gratifying but it must be approached with the right planning, knowledge and most importantly the right mind set because at the end of the day aquaponics farming is truly a labour of love.